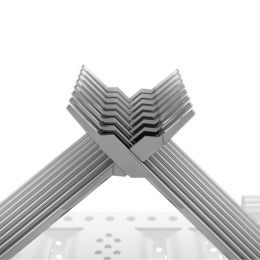 Restore® is uniquely superior by facilitating uniform upright and open instrument cleaning. Restore® brings modularity — combined with adaptability — to meet your service line needs. Restore’s stringer is designed to maximize opening of box locks and is compatible with smaller and larger ring handle instruments. Vox: There’s an infection hospitals can nearly always prevent. 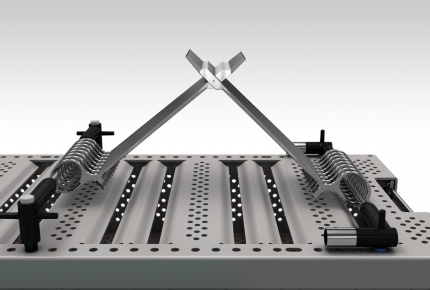 The Restore Modular Sterilization Tray System saves surgical departments time and money, while reducing the potential risk of infection from contaminated instruments. 90-degrees is the optimal angle for cleaning. Our patent-pending stringer allows for a consistent method of keeping instruments open and upright for maximum exposure to water and cleaning agents. 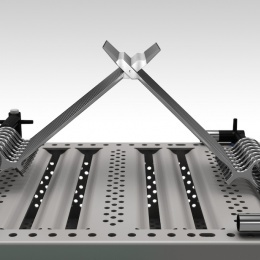 The Restore Modular Sterilization Tray System has shown a ~99.999% reduction of bioburden on surgical ring-handled instruments during third-party cleaning validation studies. Up to 60% time saved when using systems, like the Restore Modular Sterilization Tray System, which facilitate the recommended pre-sterilization practices of cleaning, inspecting & organizing instruments. Reach out to us about bringing Restore to your facility. Our mission is to increase efficiency, productivity and safety in the healthcare industry. 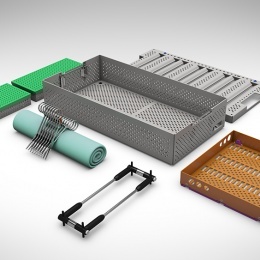 Our goal for the Restore Modular Sterilization Tray System is to help surgical departments save time & money, while reducing the potential risk of infection from contaminated instruments.